Weddings have become a billion- dollar industry, with the average cost of a wedding estimated at $30,000. Taking into account dramatic shifts in attitudes toward marriage in recent years, many pastors are confused and frustrated about their role. This book offers a foundational understanding of marriage for today's North American church. Exploring current sociological analyses of marriage and the history of Christian marriage rites, Kimberly Bracken Long suggests that the church rethink its involvement in weddings and offers a distinctively Christian understanding of marriage. Today's church, Long contends, needs to reinterpret classic biblical metaphors and expand the range of scriptural sources that inform our understanding of marriage. Long also looks closely at each element of the wedding service and what makes a marriage liturgy faithful, inclusive, and sensitive to pastoral concerns. She provides practical suggestions for music and Scripture during wedding services as well as guidance on how to respond faithfully to those who are divorced or divorcing. Packed with constructive pastoral wisdom, From This Day Forward—Rethinking the Christian Wedding delivers a practical theology of marriage that will be of help to clergy, seminarians, and others interested in this topic. "Long reminds us why celebrating and supporting marriages is part of the church's calling. She provides a wise and practical guide for pastors trying to navigate weddings with integrity and grace." "Kim Long's vision of marriage as holy work invites pastors and churches to reimagine marriage as a part of the church's mission. Her insights about Christian wedding practices, rooted in Scripture and the history of marriage, offer wise guidance to pastors in their work with couples preparing for a wedding and for married life." "From Elvis serenading ceremonies, to Disney princess carriages, to intimate family gatherings, Kimberly Bracken Long follows the rituals of weddings as they weave through our history, lives, and faith. Long's formative voice wrests the theological richness from the extravagant events and the ravenous 'industry' that threatens to engulf our covenants. Easily accessible and deeply meaningful, From This Day Forward is a crucial resource for those who preside over services and those who enter into the wondrous promises of marriage." "I have performed hundreds of weddings in my thirty years of ministry, and never have I come across a book about weddings as sensible as this one. Kimberly Bracken Long has done her homework. This volume is well researched and down-to-earth: Serious scholarship that is not heavy, practical insight that is wiser than it is prescriptive, and personal testimony that is devoid of sentimentality. From This Day Forward is a treasure for pastors and couples who want an honest perspective on the wedding moment." 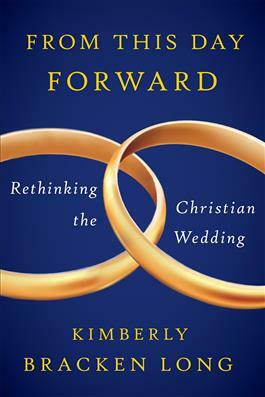 "Kimberly Bracken Long writes a hopeful, compelling, and refreshing vision of Christian marriage with the recognition that a fancy wedding doesn't make a faithful marriage. Through historical, scriptural, theological, and practical considerations, she guides the reader toward the unfailing and unifying love of God that is the firm foundation of any marriage and life. Her forgiving, mutual, compassionate, and just vision cuts through contemporary anguish and debates about marriage and reestablishes the ground of hope in God. This book will stir your heart and mind to long for the wedding banquet feast to come when we take our seat and put our feet under God's table."